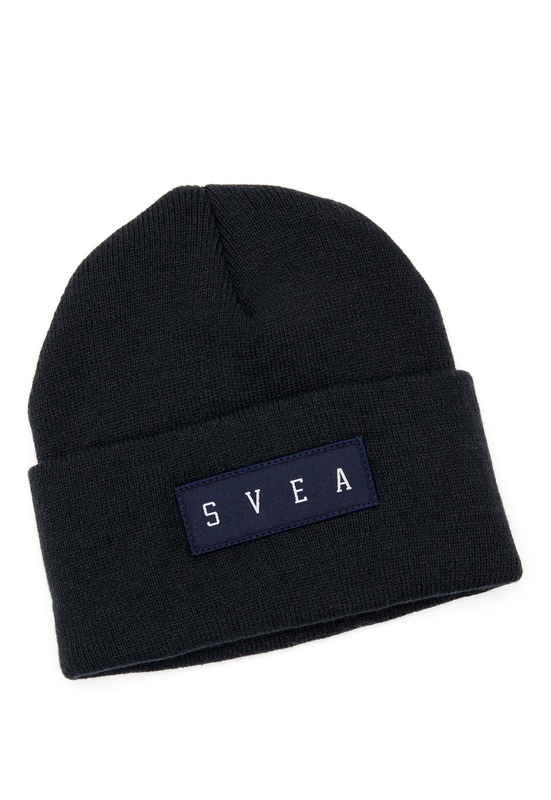 Super comfy beanie with large turn up from SVEA. - Rib-knit, stretch quality - Large turn up - Logo on front One Size. Machine wash at 40 degrees.